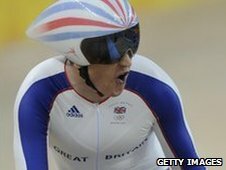 Olympic champion Geraint Thomas has pulled out of the Commonwealth Games. The Cardiff man, 24, was one of Wales' biggest medal hopes in Delhi in the 4000m individual pursuit, the road race and time trial. "It's a massive disappointment first and foremost but the hygiene and the risk of getting ill, it was a massive risk," Thomas told BBC Sport Wales. Fellow Team Sky men Peter Kennaugh, Ian Stannard, Ben Swift and Russell Downing have also pulled out. The riders cited health concerns, including the danger of dengue fever, as their withdrawals were announced. 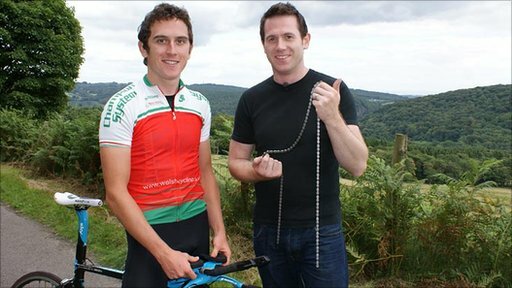 Kennaugh was due to represent the Isle of Man, while Stannard, Swift and Downing were in the England team. Another Sky rider, Greg Henderson, has withdrawn from the New Zealand team, but Team Sky insist they have put no pressure on their riders not to travel. "These situations are down to the choice of the athletes themselves," said principal David Brailsford. "We, at Team Sky, can make recommendations to the athletes but the ultimate decision lies with them. "Given the situation they have found themselves in with the Commonwealth Games nobody would blame the athletes for staying away, but there is no instruction from Team Sky on this issue." Team Wales confirmed on Thursday that they would be travelling to India, despite concerns about safety and the facilities at the venues and athletes' village. "We are confident in the assurances that have been provided," a statement said. "The advance party will now be moving into our accommodation and we look forward to welcoming our athletes in the coming days." 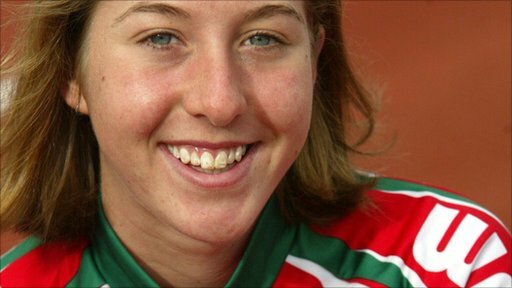 And Team Wales captain, weightlifter Michaela Breeze, said she was confident everything had been passed fit for purpose. "The bottom line is, it's ready and we have got to go and concentrate now on the job in hand," Breeze told BBC Sport Wales. Thomas struck Olympic gold and helped break the world record when he joined Bradley Wiggins, Ed Clancy and Paul Manning on the track to win the Team Pursuit crown for Team GB at the 2008 Olympic Games in Beijing - adding to their World Championship title. He also won the points race bronze at the 2006 Commonwealth Games in Melbourne and this year held the best young rider's white jersey during the first week of the Tour de France. "I don't have a spleen any more [after a racing crash] and that fights infection, so that made it an even greater risk for me [to travel to India]," said Thomas. "My girlfriend and family were really relieved when I told them. "It's a massive disappointment, I only get to ride for Wales once every four years, but that's the decision I had to make. "Team Sky gave their opinion, but it was down to me at the end of the day. I'm just going to have a break now then start building for next season." Thomas' fellow Olympic gold medallist Nicole Cooke is set to lead the charge for Wales' women as well as contesting the time trial in Delhi. On the track, Junior World Championships double-gold success Becky James, Jon Mould and Luke Rowe - who has shown glimpses of his talent in World Cup races this season - are the best bets to make an impact. Both Mould and Rowe will also ride the road, with Rob Partridge another notable racer, while the likes of Jessica Allen, Angharad Mason and Kara Chesworth should provide Cooke with the type of team support the Beijing gold medallist says she has lacked with Wales in the past. Wales team manager Gareth Sheppard said before Thomas' withdrawal that the squad can deliver in Delhi. "After the recent strong performances from Welsh riders in both national and international competition, the team pretty much selected itself," said Sheppard. "All the riders selected have the ability to deliver some very strong performances at these Commonwealth Games. "Most of the riders selected will still be medal contenders in both 2014 and 2018 so the future really does look bright for Welsh cycling."